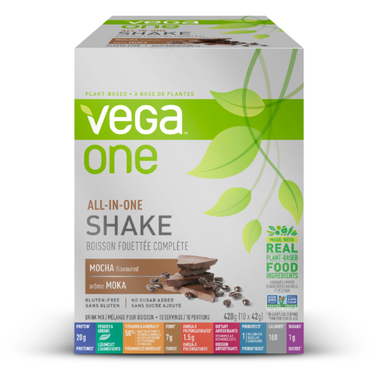 Good for your body and the planet, Vega One Nutritional Shake is the clean, plant-based choice to fuel your healthy, active lifestyle without compromise. Formulated by Brendan Brazier, professional Ironman triathlete and bestselling author on performance nutrition, Vega One Nutritional Shake is free from dairy, gluten and soy, and contains no added sugar, artificial flavours, colours or sweeteners. 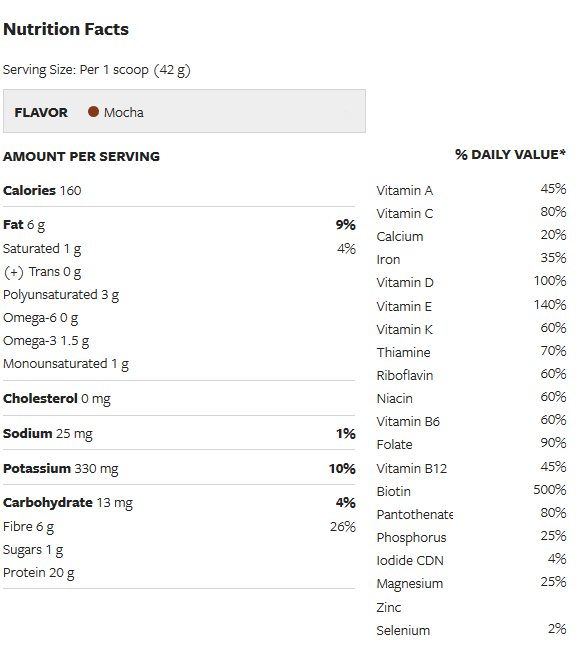 Directions: Mix one level scoop of Vega One Nutritional Shake in 1-1.5 cups (250-375 mL) of ice-cold water, juice or non-dairy beverage, shake well and enjoy. I have vega every morning, the texture and stevia flavour take time to get used to but it is now my favourite breakfast. It leaves me feeling great and keeps my full and satisfied. It's also amazing because it's such a quick thing to make and drink. I drink this with almond milk, i find it gives a better texture and flavour than water. Drinking this daily also helped me with weight loss which is an awesome bonus. I bought this for the first time to try it and I like it. Great flavor! I used to drink shakeology, but it's too expensive. I found this to be a reasonable alternative. I can drink it shaken when I'm too lazy to blend it. It's a bit grainy, but not clumpy. I was iffy on getting after reading the reviews and how the texture was. It was grainy like, not smooth like other shakes you can get out there. But I got used to it. Does taste like Mocha and has a little caffeine in there too which I find perfect for the mornings to have that little kick there. Having the it in the pouches I love, easy to grab one and be out the door. Will buy again. This is an amazing powder, tastes really good in smoothies with banana, the only problem I have is the aftertaste, I think it is stevia. I like the separate packaging which is easy to take with, however, to be honest, the taste is not good, a little bit like lime.